After a recent trip back to Australia, I was reminded why the IFE industry exists and how the terrestrial personal technology revolution is still so far ahead. This story begins with a 15 hour journey, in a place where time stands still* as you leave earth, captive in an aluminum tube, with your space defined by a personal 16G rated plastic and metal cage. “Have a nice flight,” said the gate agent. Hmmm? Firstly, I am not going to name names or critique the experience specifically. Suffice it to say, onboard the system was the latest generation of IFE and it worked flawlessly as designed, and maybe that is what spurred my interest in writing this article. Next, you make a beeline for the movie selection, and once again, clever people create “Movies” and then compile the onboard content so the selection is a good mix of latest releases and those culturally significant for the region of the airline. Once you start “Play” your selection appears quickly and exhibits decent quality, but this is no TIVO®! You get slow and incomprehensible controls with a poor mix of touchscreen and hand controller integration. All the functions do work once you “get it”. Next, you find “Pause” so the human body functions can be accommodated without missing any of the action. Finally, after spending 4-6 hours in movies, and eating random “dinner(s)” for breakfast, you can now move on to “Other Features”. Ah “Games”! 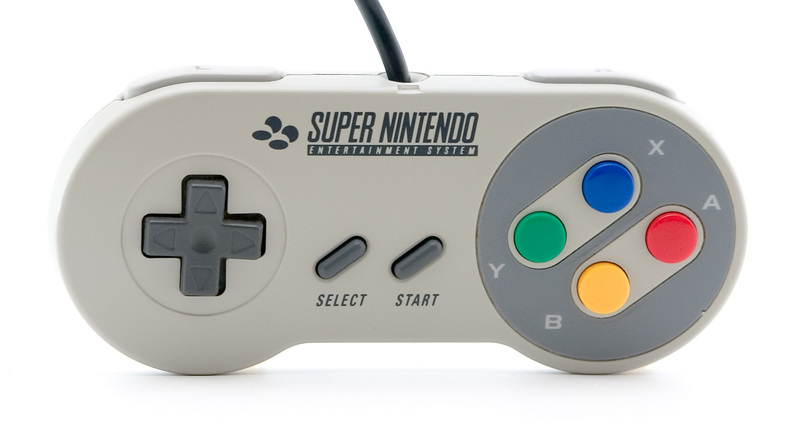 Indeed, the flip side of your controller in your seat looks like it has borrowed parts from your old SNES, so you boot up a “3D graphics” car racing game, you suddenly wish you had your SNES with you! With that a wash, you try a well-known puzzle game that you also have on you iDevice. It clunks along with no touchscreen support and no recording of scores (to narcissistically post your latest score to your “social network”). This is no modern lightweight gaming platform; your phone has better games! Moving right along, to your surprise there is a selection of modern style “Chat” apps: “Seat-to-Seat” and a “Chat Room”, despite the obvious fact that the person willing to chat with you is probably sitting right next to you. Starved for your tech connection, you sit and wait in the “chat room” and then even try to initiate a chat with your travel buddy, but alas, they are too busy watching another movie and apparently they are more patient than you. Nothing happens, and since this entertained you for slightly less time than a trip to bathroom, you move on. It crosses your mind; “I wonder what is happening back on earth?” But not even a skerrick of information that is anymore relevant than the beginning of last quarter’s movie cycle is available, or if you are lucky, you might get yesterday’s video news magazine. After opening the help screen and frantically trying to navigate directly to every feature, you find the “Inflight Survey”… all 20 questions. If you still have not been able to tell them what you really think, you give up, grab your personal device, plug it into the in-seat USB power and settle back into your routine, while contemplating the term “captive audience”. Indeed, the term “captive audience” would not cover half of the feeling you get in flight as you disappear off the grid, time-warp to the 80’s of non interactive computing, while flicking through the non movie content of the IFE. But hey, it is far better than it used to be. My experience was not bad, as most IFE now is well in-tuned with its core Video on Demand. Today’s IFE is a reliable source of non-interactive content. The challenge for the IFE industry is to remain relevant beyond VOD by opening up their platforms, possibly embracing the 99 cent app development paradigm (or small interactive inexpensive lightweight applications), with possibly limited connectivity, say something like an Android “social network” or chat application. This will immediately allow the clever people of the terrestrial world to finally break into the closed IFE world and, at least to this modern traveler, make the IFE seem more in-touch with modern personal computing experiences. Editor: Your thesis then is, present day IFE does not provide much functionality beyond VOD, that is, interactivity really exists only in the controls between the pax and the server? Editor: Connectivity is limited, if available at all, correct? Editor: Therefore, interacting with social networks while flying is virtually nonexistent, right? Editor: In your estimation could the “app” concept alone provide the needed upgrade, if the platforms supported it… and connectivity were provided? 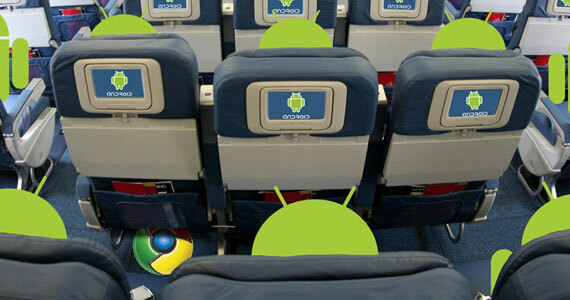 For more on adoption of android for the next gen seatback see The Androids Are Coming. * Einstein’s theory of relativity states that a body in motion move in time relatively slower, where as “ground hog day” theory is that if you fall a sleep on a flight you will always wake up back at the start of the flight. BREAKING NEWS: Look for a European announcement that will cheer IMS! In a far away time (last Sunday) in a mystical dessert city (Las Vegas) did the kings of consumer technology (aside from Apple) gather to decide your technical future. This year was once again like all others CES conferences of modern times (since the almost demise of the show in 1998) in it’s ability to predict what gets us excited but by no means what we will purchase. In the 1990’s I attended COMDEX and over a period of a few years the death spiral of technospeak-based design, combined with the “normal” user profile of the modern com-puter consumer, forced the world’s largest gathering of geeks into history. Not that CES is not relevant nor important to the techno-trends of the consumer, it is. However, CES is a noisy place where specifics should be glossed over to find the “trend” and this year’s trends were connected and portable. Why IFE should care about CES. So why is CES important to the commercial aviation universe? The show is important as consumer trends will dictate the expectations of the passenger, and overwhelmingly this year was “everything is connected, and portable”. Increasingly over the last 20 years we have seen a geometric increase in the proliferation of personal electronic devices on board, and supporting those has been the Holy Grail for some time. 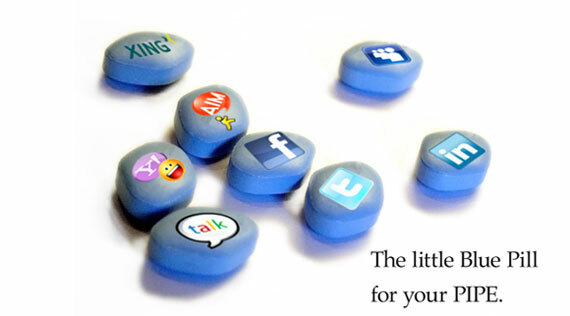 Take 51 tablets and call me in the morning. There were no big surprises: buckets of Androids (including the first 3.0 device), thin tablets (no not ones to help you loose weight), coffee making cell phones, and the con-spicuous absence of last years big hit (3D TV). If you are after a hardware round up of the best shown this year, I suggest gizmodo, Engadget or PCMAG had good coverage. Interestingly, all the personal devices, tablets and cell phones focus’ overlapped with the most important IFE related features. The prime example was this year’s best in show winner, the Motorola XOOM. Eight (8) hour battery life, 720p/1080p playback, Wi-Fi and 4G, Android 3.0 Google App store. 3D TV, so last year. Yes, unlike last year’s TV focused CES, the old guard seems to be fading fast. Adding Facebook to a TV is as much news as offering rotary phones in red, and in the ever en-croaching connected universe. Therefore, a TV becomes a peripheral of my personal “carry anywhere” connected device, eroding TV to just a monitor. On a 3D side note: Thales has been showing some very interesting “glasses-less” 3D displays on their stands at WAEA for several years now… the demand for this will be determined by the outcome of the present 3D enthusiasm. Personal Device comes of age… again? So down to the core, the take away for me was this CES seems to be the tipping point in a sea of change in consumer’s expectations, coupled with fast, small, powerful long lasting devices, displaying open standards. The connected universe and the end of the TV experience feels like we have reached that magic meeting of tech and humanity, “life on demand, anywhere, in the palm of my hand”. The challenge will be to understand and manage the growing passenger’s life on demand expectations in the new world, where only the laws of physics stand in our way. Personal devices inflight, is IFE compatible? Seeing that this year is the ‘cup overflow-eth’, for me anyway, I want to quickly re-examine a philosophy that will, I think, map the future of IFE. Content is king, and the king has common, simple, standardized needs. It neither Android, Apple iOS , Windows, or even OS nor hardware related. It is the standard by which they all connect and the formats used to show us the world. IFE is compatible with the new personal devices if it offers it’s wares via these standards, and focuses on the parts of their offering that are unique, such as certification, servers, content management, connectivity and air-craft/airline operational integration. In other words, they have to play well together on the same level playing field. On a related side note: CES, Apple and IFE’s focus. Since Apple does not exhibit any show, aside from their own expos, their absence from CES is not note worthy. However, Apple’s amazing success in consumer electronics, culminating in the fastest selling consumer electronics device of all time (iPad), creates an undercurrent of competition within the industry on consumer electronics devices. Possibly, all competing devices at CES were technically stronger than Apple’s, however, Apple’s strength is not in specifications, but rather, in implementation, and this is where the IFE industry could learn a lot from Cupertino. In the Apple universe you take leading edge tech (not cutting), implement it in a user-focused way, and then wrap it in the warm and fuzzy. This is the same universe that IFE needs to lives in (technology cycles are too slow to be cutting edge) while if it is to succeed, the user experience needs to be focused on supplying a perfect service inside in a limited set of expectations. SymontySez 1.2 – The Androids Are Coming! I remember quite well how when I accidentally got in this whole IFE business, and I do mean accidentally, my IFE greeted me with a blue screen of death and a little Windows logo. Flash Forward 10 years: The IFE industry is now dominated by Linux Operating Systems with Windows support relegated to a few minor players. Meanwhile the terrestrial world has, in the specialized personal device market, gone through a similar revolution, so perhaps it is time for these two activities to merge? OK, we all have one, it has email, surfs the net and can even make phone calls. I have an iPhone, and in my office we have a collection of iOS and Android based devices, and yet, a few years ago we were all amazed at just being able to make phone calls from almost anywhere. For me the big change was applications. The first Smartphone I had that allowed me to install or create real apps was my Palm Treo and I loved it. However the world did not seem ready for user installed features on a portable device and the quagmire of choice that comes with it. Fast forward again: What really changed was the unification of the devices, the OS and more so than the application methods (Development Kits and the ” app store”) that came with it. The developers now had a well-documented set of rules and tools to abide by, and the consumer had a central trustworthy method for customizing their powerful devices. Both Android and Apple iOS focus on these areas heavily, as do the latest incarnations of Windows and BlackBerry. 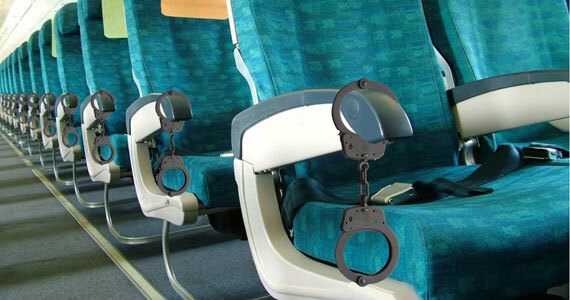 As the name suggests the purpose of these systems onboard is to Entertain passengers. This started with movie projectors, and is now rapidly moving to servers and connectivity, replacing the need for bulky aircraft hardware with the passengers’ own devices, which, of course, are most likely one of the PEDs discussed above. The last two options are somewhat academic as any device added to an aircraft has this disadvantage. But if IFE was just like a modern device, say running Android, it would support the latest technology and a huge array of applications that are easy to develop and deploy, would it not? And thus, it would stop the movement away from the in-seat IFE hardware vendors. However, there are real challenges to merge these two very different industries. In my experience the extended (often years) delivery process, the single “airline program” focus and the “drop and forget” strategies of the IFE industry are Ying to the Yang of open source. Open source is like a virtual painting of the Mona Lisa, with an infinite number of artists that is never finished. As each brush stroke is added a person may grab that painting as her own and run with it on the proviso that she lets others obtain her version for free. The real cost comes weeks later when you realize your version is not as good as today’s version, and you need to merge your newly painted eyes with the newest lips, in fact the more you are involved the more you need to stay involved. Unlike the rigid development cycles of the past there is no finish line and even no real cycle. 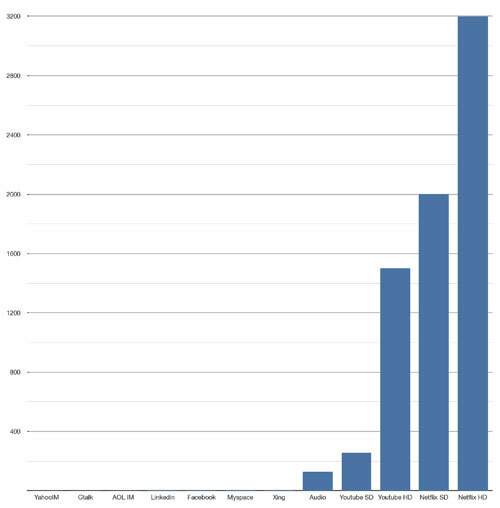 How “Open” is Open Source Android? So while all code for an open source project must be published, your intent and direction is of course up to you. This is where Android is probably the greatest challenge to an IFE industry. Google has a real commercial agenda in this project and it aggressively develops code to match that goal, but this agenda is not public. If you, for instance, take today’s Android build you have no guarantee that your changes will either be incompatible or superseded by Google’s next release. The code is OPEN but the future is all Google’s. Of course it is not unique to have issues with the Google ‘Overlord’ approach to Android, however the terrestrial user of Android devices expects to replace them every few years, in-fact the manufacturers on average drop support for hardware in 2-3 years of release. IFE has a 10-15 year lifecycle; this in terrestrial terms would be like having a device that runs Internet Explorer 4.0 today. Hundreds of Thousands of Applications? As any owner of an Android device will tell you, it is not as simple as going to the Google store and installing any application. Unlike unified devices, Android devices don’t run a single “latest” version of Android. Combined with unlimited hardware differences and manufacturers’ own tinkering of the Android code base, most applications require case-by-case integration. When adding to this the lengthy hardware cycles, very specialized requirements and international licensing required for an IFE system, the large portfolio of Android applications realistically is no more than a wish list. The constant changing Android code base and the unique aspects of IFE challenge the notion of “off the shelf”. The challenge is that the industry that has born Android is so disparately different to the IFE world in process and approach, but without the change required to successfully adopt an OS like Android, the seat-back IFE will lag so far behind the passenger expectations it will be relegated to history. *Interestingly enough there is a movement as shown by WAEA becoming APEX to rebrand the industry inflight experience. It is not the size but the way you use it. Last time in “Why Size Doesn’t Matter” I outlined the specific issues limiting timely connectivity communication due to satcom latency. Today, lets talk about some fixes, to make the most out of your pipe. In a world guided by the laws of physics you may feel a little trapped by the inevitable lack of comparable Internet service when flying over the pacific at 600mph, but I have good news. The Internet is a complex place filled with a lot more than just streaming media. For the last 40 years the Internet has grown and moved inevitably towards the “richening” of content from text email and bulletin boards to AJAX and embedded interactive media, but one fact seems to buck this trend, the growth of instant connections and the new “always connected” model. Since 2007 we have seen a steady reversal of the importance of Internet media in a human sense back to raw connectivity. Born out of the collision of convenience, and shrinking Internet devices (Smartphones), the “instant al-ways on” model exploded. To understand how important the use of this technology is to your inflight connectivity needs, you need to examine both the growth of rich sources, such as, Streaming Video at the same time as growth in Instant Messaging/Broadcasting and Status Updates. 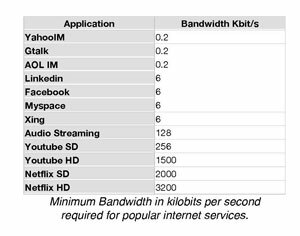 A recent study on Internet usage shows the US’s largest single consumer-use of band-width during peak hours is Netflix (15m members) at over 20% (400+ Mb per day per user); whereas, Facebook with over 150 million users in the US market only uses 2%. In fact, 8 of the top 10-bandwidth users are streaming video, accounting for 60% of all traffic on the Internet by volume. So how to take advantage of the change? Firstly you must offer connectivity, “always on” is just that. Secondly, offer targeting access services… not the pipe. The Internet is not what it used to be and selective access is not only a bandwidth advantage but also a passenger service preposition advantage. In addition, the bandwidth requirements for Mobile Facebook are such that a single channel could supply simultaneous service for over 500 passengers. Interesting enough, many other services have similar, if not smaller, network profiles but are highly desirable, such as Instant Messaging and Twitter. In time, the market players will move but the new “instant always on” culture has become well entrenched in our lives. So what is the little blue pill for your air to ground pipe, it is optimizing your Internet offer-ing to selective services that are highly desirable and bandwidth effective, and re-focusing open Internet access as a generally desirable inflight service.